Register for the Gallop for the Greenways - 1 Miler, 5k, 1.5 Mile Walk and Free Kids Fun Run today! 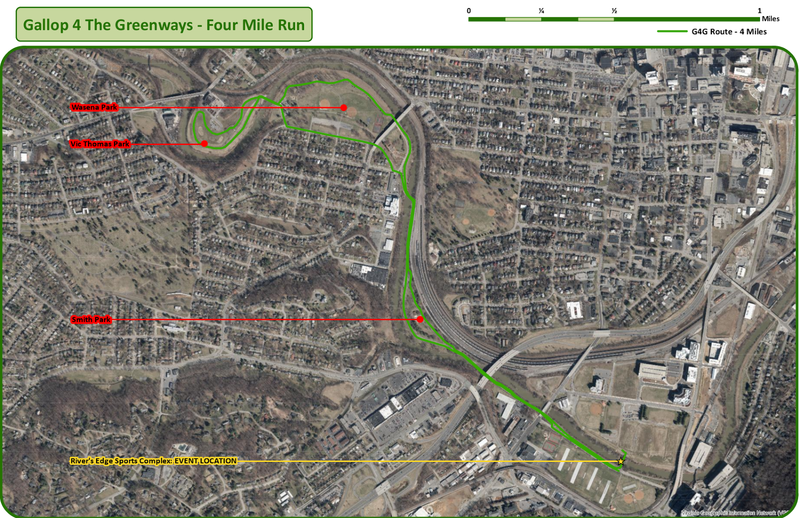 Additional race information can be found at http://mountainjunkies.net/site/gallop-for-the-greenways/. Come Out & Gallop for a Great Cause! Gallop for the Greenways is an annual fundraising event to support our growing network of pedestrian and bicycle trails. Home base will be at River's Edge Sports Complex in the City of Roanoke. Stick around after the races for post-race festivities including music, food and a fine selection of beverages proper for adults and children. Mark your calendars today and join us in supporting one of the most important quality of life assets in the Roanoke Valley! The races will all start and end on Wiley Drive between River's Edge Sports Complex North and South with participants finishing in the midst of the party with crowds cheering as live music plays! 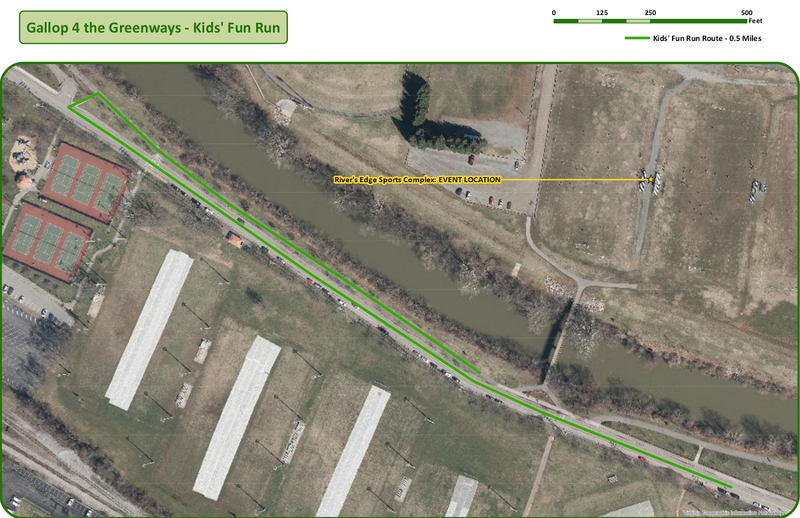 Race Headquarters and the After Party will be located at River's Edge North, 210 Reserve Avenue, SW, Roanoke, VA 24016. The top 3 male and female winners along with first M/F masters (40+) will receive unique awards. 14 male and female age groups with medals given to the top 3 in each age group, Age brackets for the races include, for both male and female: 9 & Under; 10-14; 15-19; 20-24; 25-29; 30-34; 35-39; 40-44; 45-49; 50-54; 55-59; 60-64; 65-69; 70 & up. Friday - There will be a race briefing before the start at 6:15. Saturday - There will be a race briefing before the start of the kids run, 5k and walk, at 4:45.